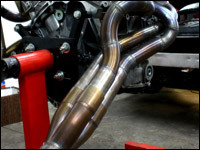 Here’s an article Modified wrote about our longtube headers for the VQ35DE. They aren’t currently for sale, but we do produce them from time to time. Drop us a line if you’re interested and I will personally let you know when the next production date will be.